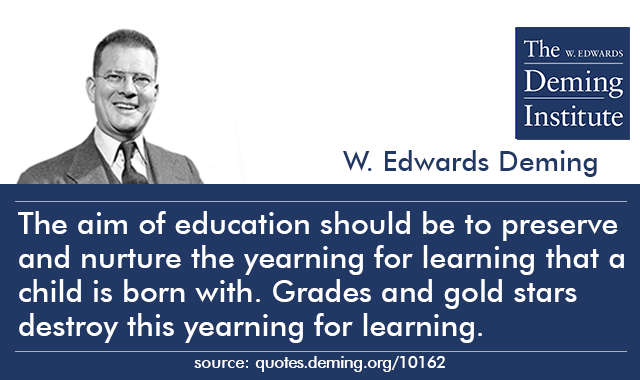 The aim of education should be to preserve and nurture the yearning for learning that a child is born with. 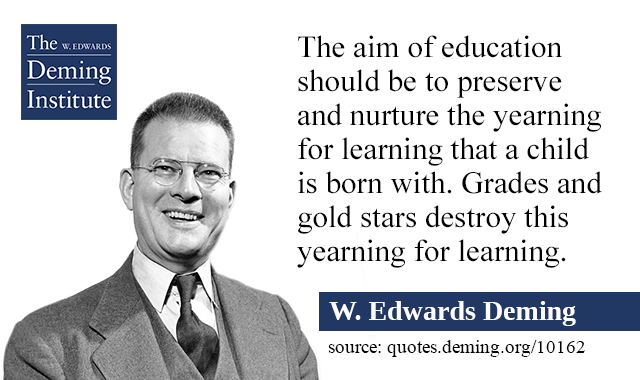 Grades and gold stars destroy this yearning for learning. Letter to David Bayless, 6 February 1992.